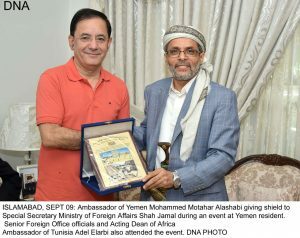 ISLAMABAD, SEPT 09 (DNA) . 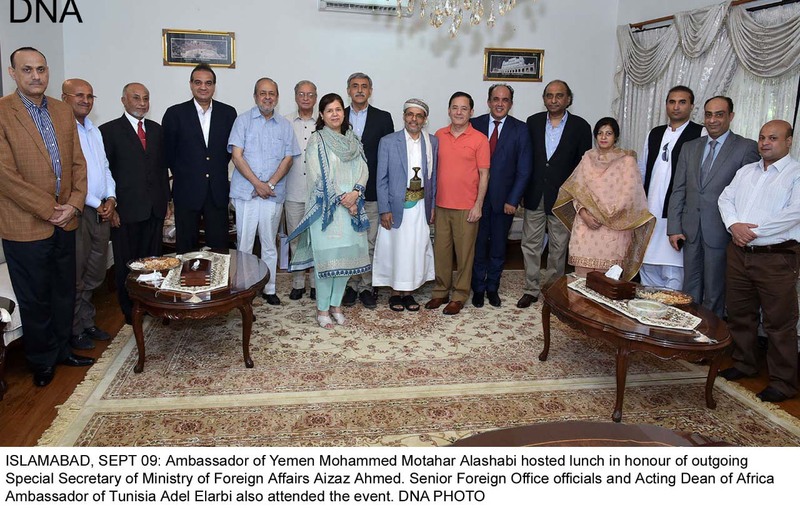 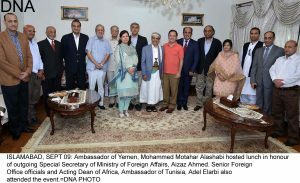 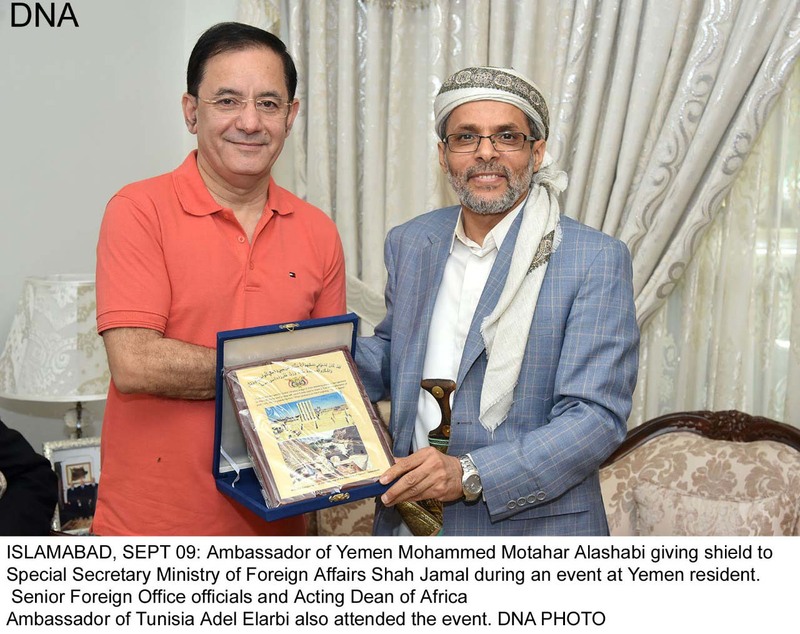 Ambassador of Yemen Mohammed Motahar Alashabi hosted a reception for the officials of Ministry of Foreign Affairs at his residence.The outgoing Special Secretary Ministry of Foreign Affairs Aizaz Ahmed was the chief guest. Additional Secretary Middle East and other officials from the same desk attended the reception.